An optional right-side wooden handle can be added to your order. This handle is beautifully hand-carved from solid wood and features a very ergonomic design. 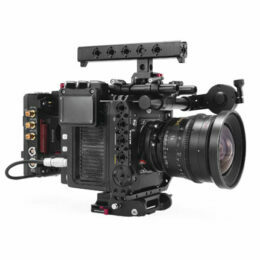 It includes a recording run/stop button built in as well as a R/S cable for the Sony a6/a7/a9 **. The wooden handle is attached via an Arri Standard Rosette connection on the right side of the camera. ** Note that there is currently no wooden handle run/stop cable that is compatible with the Sony a7 III or a7R III.